A one-day trip to Tver was tentative with further trips there we are looking forward to now. Tver is one of the oldest cities of Russia founded in 1135. Having been a capital of Russia once, it still creates a vivid impression of a well-preserved town and retains its atmosphere. The advantageous for a medieval town location on the Volga and Tvertsa and the T'maka Rivers only enhances the now relaxed atmosphere there. In 1247 Yaroslav Yaroslavich (Yaroslavich is a patronymic), Alexander Nevsky's brother, became the Prince of Vladimir (a then capital of Russia). By moving to Tver he factually moved a capital of Russia from Vladimir to Tver. In 1269 by order of Mikhail Yaroslavich (Yaroslav's son) the first white stone cathedral since the Mongol-Tatar Invasion in Russia was built in Tver. In addition, an icon-painting school was established and the Fortress was built. Well, walking along the streets and embankments of Tver will unwind and relax even the most struggling mind. However, the past of the city is far from being pastoral and dream-wise. Tver as much as the most part of Russia suffered the Mongol-Tatar invasion 1237-40, followed by decades of the Mongol-Tatar Yoke. The prosperity of the town was ruined in 1327 (90 years after the Invasion) when Tver residents rebelled against tyranny of the Yoke. The uprising was fiercely oppressed by the Tatar Khan and Moscow Prince Ivan Kalita (a rival for the position of the Grand Prince of all the Russia with a then-prince of Tver, Alexander) Ivan Kalita might have been awarded Shapka Monomakh (Monomakh Cap) for that betrayal of Russian people. 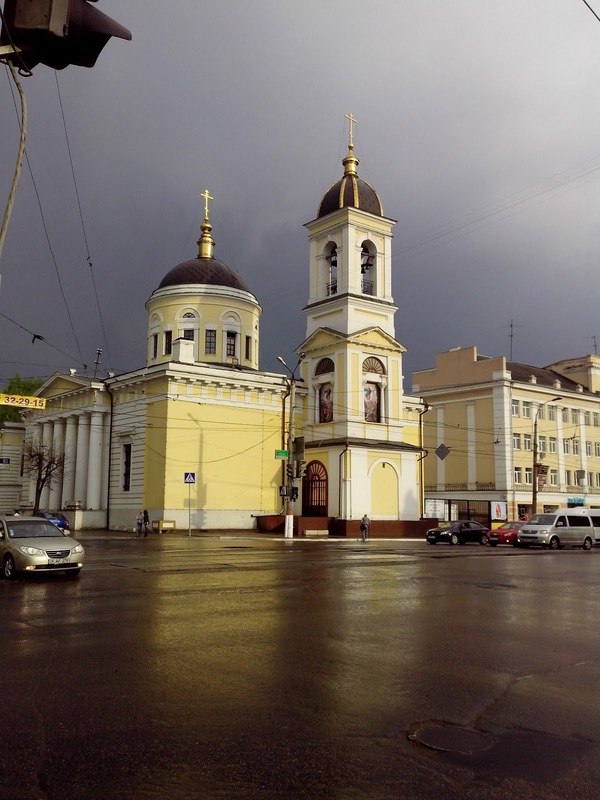 The oldest church in Tver that survived all the perturbations is Belaya Troytsa Church of 1564. The church is situated in a most quiet corner of Tver, surrounded by log houses of local residents which even enhances the impression of a Russian rural site. The cosy guest house / hotel "Na Troitskoy" is just opposite the church. We haven't checked it out, however, so can't judge what it's like.